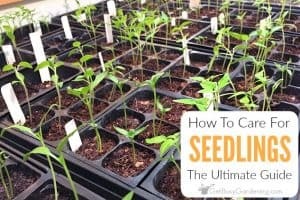 Saving pea seeds from the garden for planting next year is super easy! 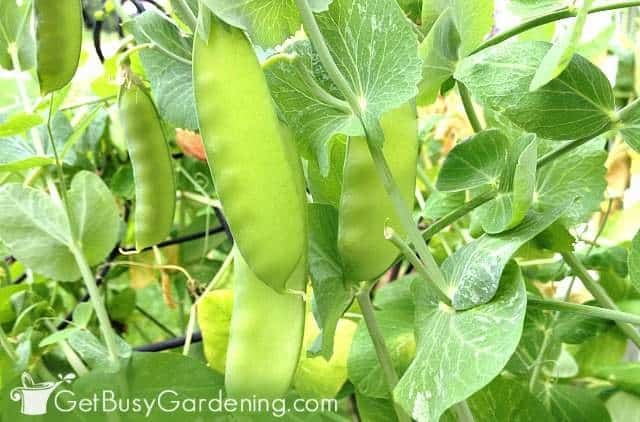 In this post, I will show when to harvest peas for seed, how to save pea seeds from your garden, and also how to store the seeds until spring. Pea seeds are one of the easiest types of seeds to collect from the garden, and one of the most recognizable seeds too. Yes indeedy, the seeds are the peas inside the pea pods that we love to eat. 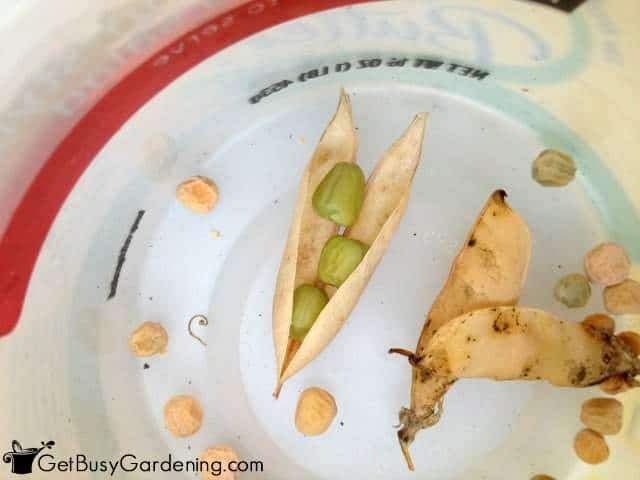 So, if you want to try saving pea seeds from your garden, leave some of the pea pods on the plant so they can mature into seeds that you can save for next year. Most of the time I don’t even have to think about saving peas for seed. Somehow I always seem to miss several peas while I’m harvesting. By the time I notice them, they are yellow or brown and inedible. Oops! I usually find the bulk of the dried out pea pods when I pull the plants after they are done producing, or when I’m cleaning out the garden in the fall. Score! Free pea seeds for next year! Once the pod has turned brown and looks dried out, then you know it’s time to harvest pea seeds for planting. Sometimes the pea seeds will even rattle around inside the pod, which is a sure sign that they’re ready to be collected. What Do Pea Seeds Look Like? As I mentioned above, the peas are the seeds! Easy, right!? Pea seeds that are ready to be collected will be wrinkly hard, and inedible. Depending on the variety, your pea seeds might be light green or tan in color. Once you’ve determined that it’s time to start collecting pea seeds, then you can simply cut or pull the dried pea pods from the plant. 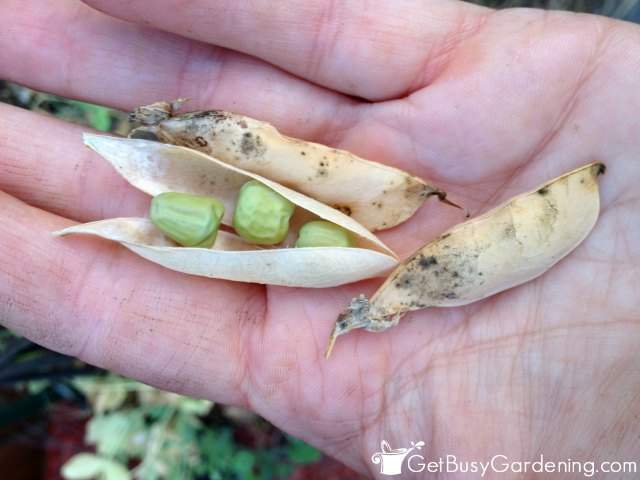 To collect pea seeds, simply break open the pods. The pea pods don’t have to be completely dried out in order to harvest the seeds. But don’t allow pea seeds to sit in the pods for very long after collecting them or the seeds might get moldy. After you’re done collecting pea seeds, but sure to let them dry out completely before storing seeds. Drying pea seeds is very important, otherwise the seeds could mold while they’re in storage. Simply let the seeds sit out for several days until they’re dry. Dried pea seeds should be completely hard. Once they’re dry, you can store pea seeds in a plastic container (film canisters are great for this! ), a paper bag or small envelopes until spring. If you’re planning to share your seeds with friends, you can make your own seed envelopes, or take it up a notch and order customized envelopes, how fun! I store my seeds in a clear plastic container, but if you like to organize your seeds better than that, a Seed Keeper would be perfect for you! You should have no problem finding a variety of pea seeds for sale at your local garden center during the mid-winter through early spring. Or, if you prefer, you can order pea seeds online any time of the year. Here are some great, quality seeds you can buy to get started… Snow Pea Seeds, Sugar Snap Pea Seeds or Sugar Daddy Pea Seeds. 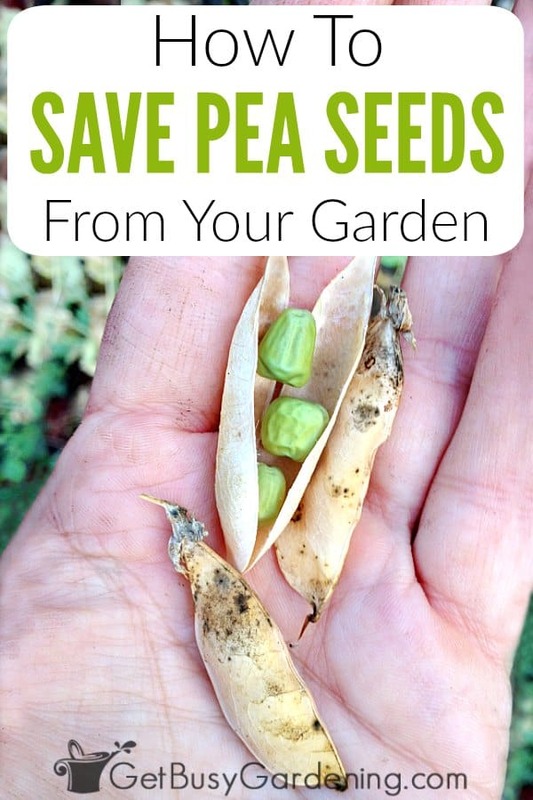 Saving pea seeds from your garden is fun and frugal! Now that you know how to save peas for seed, you can grow the peas you love year after year, and it won’t cost you a dime. Don’t forget to share them with friends too! 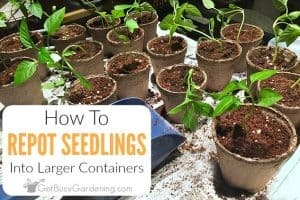 If you’re new to growing seeds and you want to learn how to start them indoors, then my Starting Seeds Indoors eBook is exactly what you need. 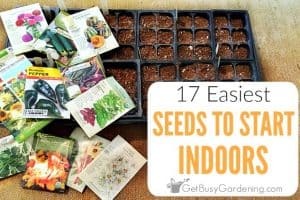 It’s a quick-start guide to staring seeds indoors, and will have you sowing your own seeds in no time! Download your copy today! 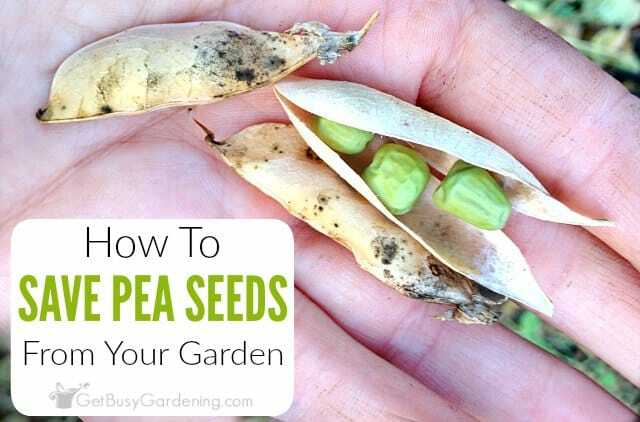 Share your tips for how to save peas seeds for planting in the comments section below. Good for you, Amy! If I had a decent-sized sunny plot for a veggie garden, I would do the same. 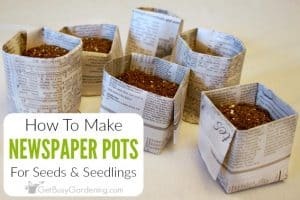 I think I will try your winter sowing techniques this year! My peas do better in part shade. If you end up trying winter sowing, let me know how it goes. I usually buy a big packet of pea seeds at Menards. Early spring they're usually 40% off. I don't know if the peas are hybrid or not so never bothered to collect them. Nice post! Sounds like a great deal on bulk pea seeds! Thanks for sharing! If you grew your peas organically, then yes, the seeds you collect will also be organic.